Let's continue where we left off from How to Set Company Tax Filing Info. In this part, we'll focus on the next steps as they pertain to generating 1099-MISC forms. 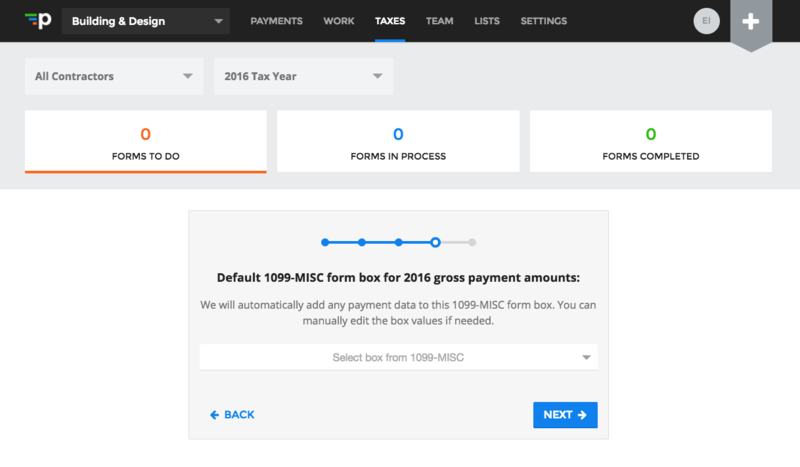 This is where the aggregate of payments amount will be filled in the 1099-MISC forms you send to contractors. You will be able to edit all the boxes manually as well — so nothing is set in stone. This step is only for the initial generating of forms. For many payments to contractors, companies will often use box 7 for “nonemployee compensation.” But other boxes may apply for your situation — we recommend consulting with a tax professional to better understand your reporting requirements before selecting the box you will use. You can even invite this tax professional or accountant directly into Payable. We’ve also created a box-by-box guide for both the 1099-MISC and 1099-K.
34 states currently participate in combined federal and state 1099 filing. This is the step where you select which state your company and contractors operate in to generate forms to file with the state tax agency at the same time as filing with the IRS. Check out our to Guide to combined Federal and State 1099 Filing to learn more. Recipient’s address: the states from your recipients’ addresses will be added to Box 17 on your 1099-MISC forms for filing. 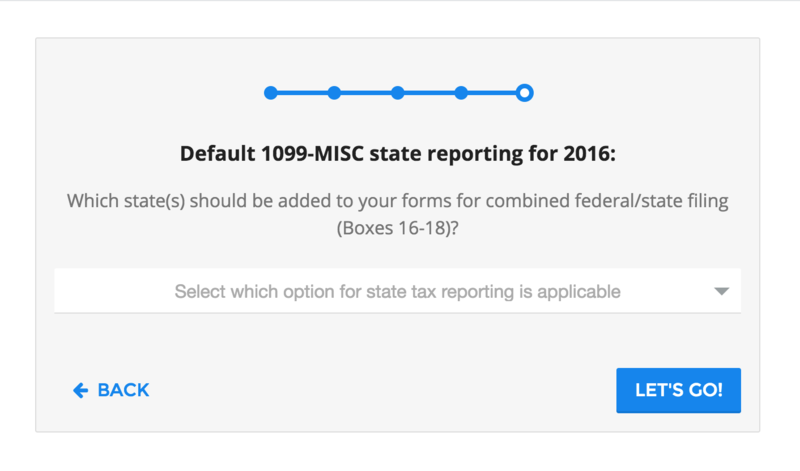 No default state is set: No states will be added on your 1099-MISC forms, by default. Every state has different rules and regulations for whether or not 1099 payments need to be reported to them or not. In the majority of states, 1099 filing requirements depend on the recipient's address of residence, and/or where the work was actually performed, etc. Check out our Guide to State 1099 Filing Requirements to learn more. If any changes are required from then on, they can be made manually. Process complete! The forms will be then be generated.